WASHINGTON – Though Ben Carson frequently touts his up-from-the-bootstraps life story, Donald Trump’s nominee for secretary of Housing and Urban Development has voiced little empathy for those who depend on the social welfare programs that aided his own climb out of poverty. A retired neurosurgeon, Carson has often recounted his childhood as the son of a single mother in inner-city Detroit. 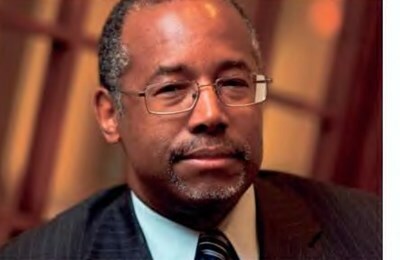 In his 1996 autobiography “Gifted Hands,” Carson wrote of the humiliation he felt using food stamps from his mom to pay for bread and milk, and said he began to excel at school only after receiving a free pair of glasses that allowed him to see the lessons written on chalkboards. Carson, 65, has not said publicly whether his family ever lived in federally funded housing or received Section 8 subsidies to help pay rent, but as a conservative political figure he has criticized such public assistance programs for creating “dependency” on the government among low-income blacks. Carson has been married for more than 40 years to Candy Carson and the couple have three children. Financial disclosure reports show Carson has earned millions in book royalties and speaking fees in recent years, with an estimated net worth of more than $20 million. The former Republican presidential candidate has never before held elected or appointed government office. He also has no experience managing an organization with a multibillion-dollar budget and thousands of employees. If confirmed as HUD secretary, Carson would oversee a sprawling federal bureaucracy that provides Americans with mortgage and loan insurance, distributes housing grants to state and local governments, and offers rental assistance and public housing to low-income families, the elderly and disabled. The agency is also charged with enforcing federal fair housing laws. Previous post Is Trump Presidency illegitimate?